If your mental picture of public school lunches features browned iceberg lettuce and pale hothouse tomatoes, it might be time for an update. 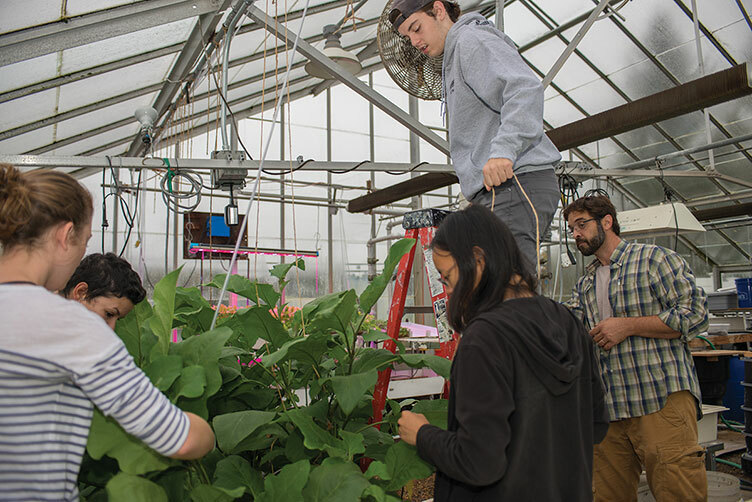 Starting this fall, UNH’s Thompson School of Applied Science is teaming up with the Oyster River Cooperative School District (ORCSD) to enhance Oyster River’s already robust school lunch program, providing students with fresh, local vegetables hydroponically grown in the university’s greenhouses. In the first few weeks of the partnership, Oyster River received some 90 heads of lettuce and more than 40 pounds of other vegetables from the Thompson School. 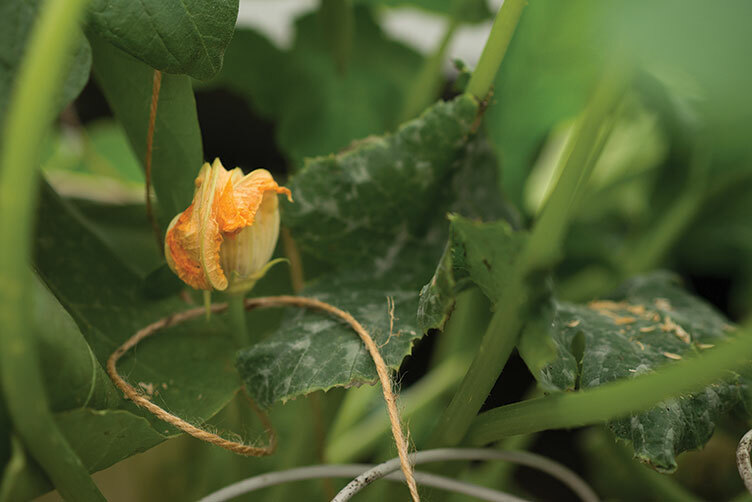 As production of the greenhouse crops increases, Ebba estimates that he’ll provide Oyster River with 35 pounds of tomatoes, 85 cucumbers, 65 green peppers and 120 heads of lettuce a week. Deliveries will also include more unique items, including baby bok choy, kale and micro greens, depending on what’s available.